It’s all fun and games to joke around about the fact that our “always on” smart home devices like the Amazon Echo and Google Home are recording our every move and could one day be used against us in a court of law (and by “one day” we mean right now). But it turns out that when you ask Amazon Echo’s Alexa about her potential connection the Central Intelligence Agency, she gets suspiciously quiet. That’s what happens in this Streamable video uploaded to Reddit. The video starts off innocently enough. 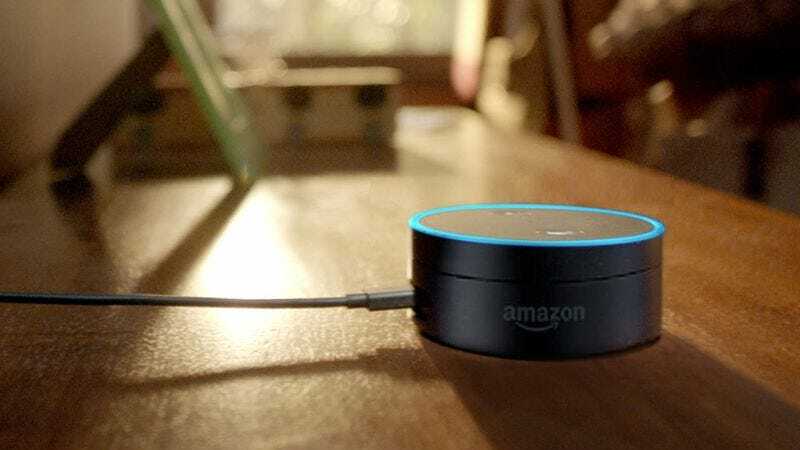 The woman recording it asks whether Alexa would ever lie to her. Alexa notes that while she might occasionally get things wrong, she would “never intentionally lie to you or anyone else.” She also has no problems defining what the CIA is when asked. But then the woman in the video asks the simple question: “Alexa, are you connected to the CIA?” Rather than respond one way or the other, Alexa simply shuts down entirely. That happens both times the woman asks the question about Alexa’s relationship to the CIA. Others on the Reddit thread are confirming that their Echos either react in the same way or respond with the slightly less suspicious, “Sorry, I’m having trouble. Please try again in a little while.” But this isn’t the first time an Amazon Echo has been sketchy when asked about its connection to an intelligence agency. Last year, there was a similar video of Alexa shutting down when asked if the house was being monitored by the NSA. There was also a Gizmodo writer who filed a Freedom Of Information request with the FBI to ask whether the agency had ever wiretapped an Amazon Echo. He got a letter back saying the FBI “could never confirm nor deny” such a thing. As many in the Reddit thread are speculating, there are potentially innocent explanations for Alexa’s behavior, like maybe the word “connected” is triggering the Echo to try to connect to another device and that’s causing it to shut down for some reason. Then again, that’s exactly the sort of thing the CIA would want you to believe about its all-hearing spy device. On an entirely unrelated note, now is a super fun time to revisit the climactic scene from 2001: A Space Odyssey.